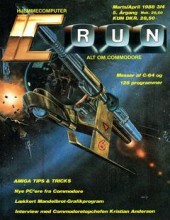 Thanks to Lars Rabech, Regnskab from RUN Commodore Magazine (Danish) is now added. Jan Normann Nielsen has done it again. 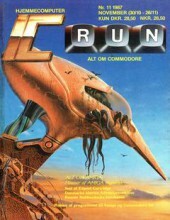 New type-ins from IC Run Nr 7 & 8 1985, and the Commodore 64 Games Book from Melbourne House Publishers. The type-ins are files that are listed in the books and magazines, but in a ready to run format either disk or tape. It’s a time consuming work as it needs bug fixing, corrections etc. Jan Normann Nielsen has updated the zip files to the following magazines. One can really feel the weather is great for doing retro stuff. Once more Jan Normann Nielsen and RetroPlay have supplied type-ins. I can only wonder the amount of time they use for checking for type errors, making sure symbols are the right ones -some of the page prints aren’t easy to read- and correcting errors that are inside the original listings as well. There might be mistakes in the prior update post, but I won’t correct that as It’ll take too much time for me to sort out. 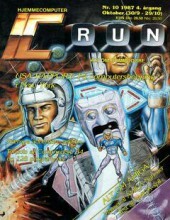 Once again the anonymous person has donated scans for IC Run, this time it’s Nr 10 1987. This completes the IC Run section. Again loads of thanks to the anonymous donator (you know who you are). Once again thanks to the anonymous person who scanned this Danish issue of IC Run nr 11 1987. RetroPlay has updated and added some type-ins for RUN Issue 1. Thanks to a friendly anonymous guy, who scanned the pages, one of the missing issues of the Danish IC Run is now online. Do we see more from him? I certainly hope so. Jan Normann Nielsen sent some updated type-ins for Issues 2, 3, 4, 5, 6 and 7 of IC Run.